We’d love your help. Let us know what’s wrong with this preview of Remaking a Garden- The Laskett Transformed by Roy C. Strong. 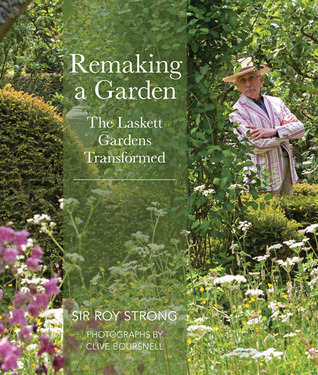 To ask other readers questions about Remaking a Garden- The Laskett Transformed, please sign up. Inspiration to read: interview with Sir Roy Strong in The English Garden Sept 2014, his impetus for remaking his garden after his wife died. Made it his own, "was going about like Robespierre" and everything was recorded in pictures. And how even with all of the changes he makes, he will come across his wife in the garden still, "...she's all over that garden". Sir Roy Colin Strong FRSL is an English art historian, museum curator, writer, broadcaster and landscape designer. He has been director of both the National Portrait Gallery and the Victoria and Albert Museum in London. He was knighted in 1983.